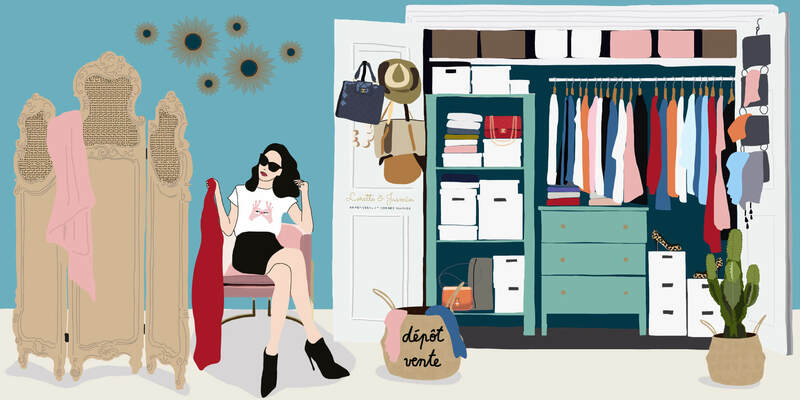 Have designer items you no longer cherish or need taking up your closet? Give new life to your clothes, accessories and handbags thanks to Lorette & Jasmin, a designer and vintage consignment boutique in Paris. Lorette & Jasmin buys all your handbags, clothing, shoes and fashion accessories (including belts, hats, jewellery and sunglasses). Items must follow the season’s and current fashion trends, and be in perfect condition. Our Paris resale boutique only curates pieces that are on trend. For designer handbags, we carry preferably luxury, high-end brands. Do not hesitate to contact us, we offer price estimates at home to save you time before coming down to our boutique. Lorette offers outright purchase for designer label handbags, accessories and jewellery. Brands of choice include Chanel, Hermès, Vuitton, Dior and Pleats Please just to name a few. Merchandise is accepted on a consignment basis at our Paris boutique. Consigned pieces stay in the store for 90 days, starting on consignment day. Payments for sold items and/or unsold pieces can be picked up at any time during opening hours. Please make an appointment 3 business days in advance via text message or email. Consignors may bring their items to the store from Tuesday to Saturday 10.30 AM-18.45 PM. An appointment with Lorette is necessary if you wish to consign pieces at some other time. Have a lot of pieces you wish to consign? Lorette will come to your home and pick up your consigned items. Lorette offers outright purchase for designer handbags, accessories and jewellery (Chanel, Vuitton, Dior and others). Once your pieces are sold, you may collect your payment at any time during business hours. Consigned stay in the store for 90 days, starting on consignment day. After 90 days, you will have 15 days to pick up unsold pieces. During the winter and summer sales, pieces are sold in-store at a 30% discount for the final customer (-30% for the consignor, and -30% for Lorette & Jasmin). Discounts do not apply to new arrivals and couture pieces.